We will replace your timing belt, water pump and drive belt only for $799 for a four-cylinder engine or $899 for a six-cylinder engine. Does not include tensioner, not to be combined with any other discounts. Here at Hendrick Honda Woodbridge, we have the utmost respect for our Military. Let us show our appreciation for your sacrifice by giving you 15% off of your next service or repair. Offer not to exceed $150.00, must show valid Military I.D to redeem offer. Can not be combined with any other offers. Void where prohibited. Limit of one (1) coupon applied per purchase. Other restrictions may apply. Normal price for cars that take 5W-30 and 5W-20 oil is $43.32 Normal price for cars that take 0W-20 oil is $61.29 Come to Hendrick Honda Woodbridge for a Honda Express Service oil change! All services are performed by Honda factory trained technicians and use only Honda Genuine Parts. The technician will replace your old oil with top quality oil and a Honda oil filter. We check all of your vital fluids and adjust as needed as well as perform a FREE multi-point inspection. 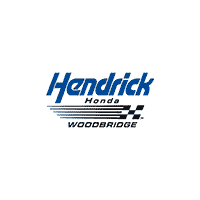 Valid Only at: Hendrick Honda Woodbridge Prices may vary by make and model and are subject to change without notice. Does not include taxes and shop supplies. Can not be combined with any other discounts. Honda replacement batteries have a 100-month warranty which is the best battery warranty available! Not to be combined with other offers or coupons. Coupon only valid for installed battery.